who spent most of his life studying the history and ancient records of China. He was widely respected at the time for his research and discoveries and widely honored for his efforts. He developed a theory regarding the origin of the Chinese civilization that I find very interesting and which supports my theory of the Jaredite migration through Asia, and their subsequent influence on the peopling of China. From his studies, he hypothesized that the early colonists of China were a civilized people from Mesopotamia who introduced the civilization of the Sumerians into eastern Asia. He claims that they were what he calls “Bak” tribes from the Semite nation of Elam. The Elamites were a neighboring nation of the Sumerians at the time, and were politically subservient to them. 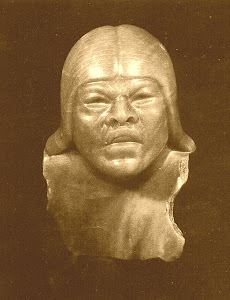 He suggests that the “Baks” left Elam during a period of political turmoil and traveled eastward across Asia and settled in China. Lacouperie's theory supports my idea that the Jaredites left Sumer following the Confusion of Tongues and migrated eastward through Asia. They traveled slowly, periodically stopping to plant crops and harvest them, before resuming their journey eastward. During these stops, they establishing settlements of the sick, disabled or weary who were left behind. Arriving in the area of China, they traveled down the valley of the Yellow River (Huang He River) until they reached the Pacific coast. This is described in the Aztec legends, speaking of their progenitors, which were recorded by the historian Boturini. 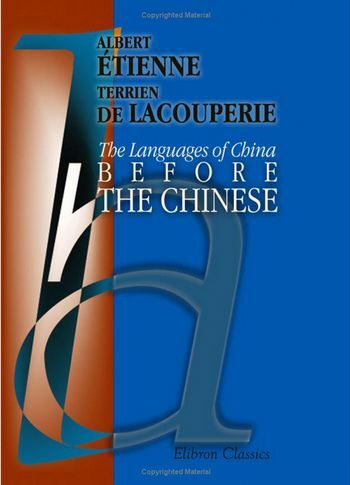 Returning to Lacouperie, he also suggested that there was an earlier population of barbarians residing in China when the “Bak” group arrived and that they civilized these natives. However, I disagree with him on this point as Moriancumer, the leader of the Jaredites, was told that they would be going to a land where man had never been (Ether 2:5), so the area should have been unpopulated when they arrived. Any resulting civilization in China would have been that propagated by the Jaredites who were left behind. They would have passed on the culture that they had learned from the Sumerians. Following his death in 1894, Lacouperie's writings and theories fell our of favor with the scholars. They felt that his translations were flawed and maintained that civilization in China had been an independent development, not the result of outside cultural influences. As a result of this scholarly ostracism, few people are aware of Lacouperie's writings or findings. From my study of his works, I find him to be very knowledgeable and thorough. I feel that his translations are accurate, and he has thoroughly documented all his findings. I believe that this is a true statement of fact. It is true for China. 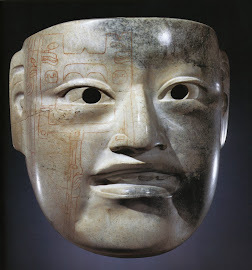 It is true for Mesoamerica, where scholars assert the same notion, that the Mesoamerican peoples developed their culture independent of any other group or people. If we accept the scriptures as valid history, which they are, we can observe that society has always descended from an original source. Adam was the primary source for this world, and his posterity reflected his intelligence and culture. Following the flood we had a new source in the man Noah and his family. All nations, peoples and cultures descended and benefited from this man's civilized knowledge and influence. Unfortunately, the humanistic scholars believe in the notion of cultural evolution – that primitive man, over milleniums of time, has gradually evolved the various civilizations of the earth, independent of one another. This is on the order of claiming that all societies utilizing modern technology developed this science spontaneously and independently on their own without outside influence. Such a claim would be ridiculous, as is the claim that ancient societies derived their cultures independently without inheriting attributes from other outside groups. But back to Lacouperie, if he is correct, he has shed more light on the history of the Jaredites, and we are better able to understand their origin and story. Early History of the Chinese Civilization. The Languages of China before the Chinese. The Old Babylonian Characters and their Chinese Derivates. Catalogue of Chinese Coins from the 7th cent. B.C. to A.D. 621. The Oldest Book of the Chinese, the Yh King, and its Authors. Beginnings of Writing in Central and Eastern Asia. History of the Civilisation of China. 2 Vols. Numerous articles in the periodical The Babylonian and Oriental Record. The Silk Goddess of China and Her Legend. (22) the erection of lofty terraces for astronomical purposes, etc. used in the aforesaid S.W. Asiatic countries, etc. (36) the ten periods, etc. (45) the use of war-chariots with horses harnessed abreast, etc. (58) large square altars, etc. (60) many peculiar legends therein, etc. From The Languages of China Before the Chinese, Lacouperie, p. 125.